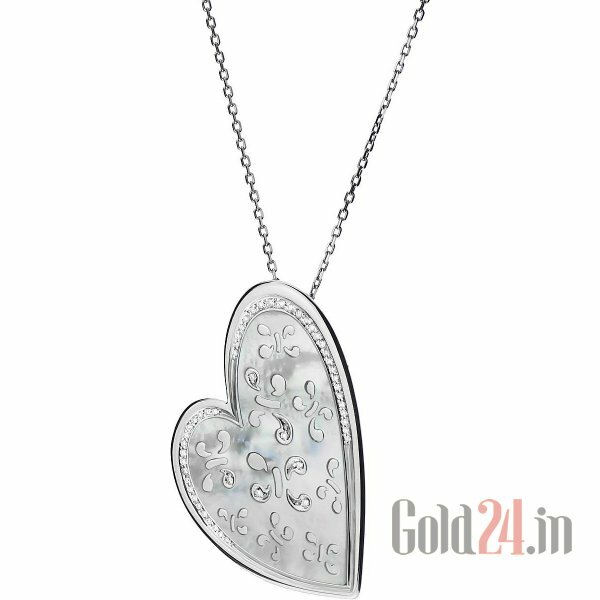 Gold24.in is an international online jewellery store which has been in this business from past seven years. Brand has been doing really well in countries like Russia, Ukraine and India. The brand has direct contracts with manufacturers from USA, Europe, Hong-Kong and Israel. When I started browsing their website I was elated to see their variety. They have all kinds of jewelry in different metals, stones, diamonds and designs. I really like their diamond jewelry. Whenever I have to buy anything for me my eyes are always fixed either on earrings or rings. Gold24 has brought various jewelry brands together like Gili, Asmi and many more national and international brands. Not only for women but there are some great options for men as well to choose from. You have to check out their heart shaped rings, drop earrings, studs. This was my favourite section in the website. I was amazed to see a section dedicated especially for kids. Generally no one offers designs for kids. Even our traditional jewelers hardly keep a piece or two and that design is copied by all the jewelers of same city. On gold24 you will be able to find some really cute designs for kids. I am very choosy when it comes to choosing designs. But on Gold24 I selected five designs out of every twenty I saw. Their designs are classy with Indian touch. What is more exciting than getting some amazing discounts on your favourite pieces? All the specifications about the product like material grade, stone colour, insertion shape, weight etc. are clearly mentioned for each product. You have payment options like online and cash on delivery. All items come with a lifetime warranty so you don’t to worry about anything. There is also 30 day money back guarantee. What more you can ask for? Check the website and let me know what you think of it?